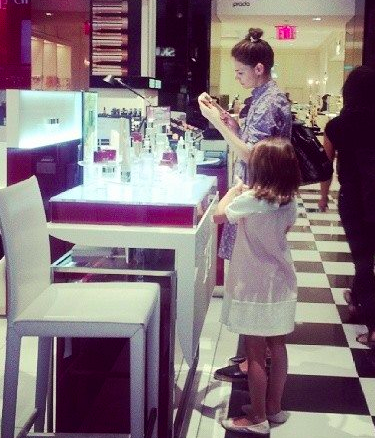 Suri Cruise spotted shopping at Bloomingdales in NYC on August 19th 2014. Suri was wearing Pink & Cream Diamante Flower Dress FW13 by Monnalisa (first seen on May 4th 2014). Suri Cruise was wearing White Eyelet Dress SS14 by Burberry while out in NYC on July 13th 2014.